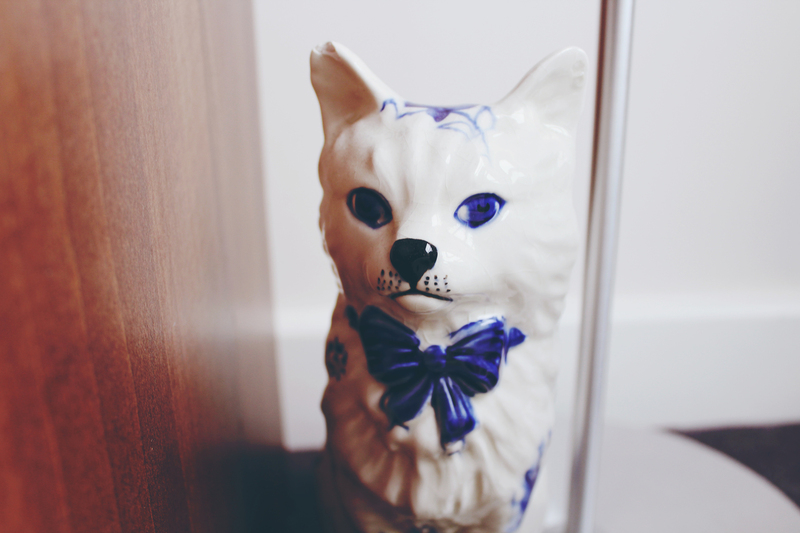 As you guys probably know, I’m a massive thrifter, there’s nothing I love more than rooting around the charity shops in pursuit of great wardrobe pieces, but one thing I haven’t really discussed before on the blog, is thrifting home items. Of course, I’ve touched briefly on the matter in both of my home haul videos before, as they both feature thrifted pieces, (you can watch those here, and here respectively), but I’ve never shared my tips for thrifting specifically home pieces so to speak, so I thought I’d do that today! Last year I wrote up a similar post on thrifting clothes in particular, so feel free to check that out here, for more helpful tips! Let’s just start by saying that while I’m sure we’d all love to live in perfectly decorated, completely finished homes, budgets don’t allow all of us to do that. Furniture and home accessories can be pricey, even on the high street, so thrifting is a really great way to cut costs. Furthermore, thrifting an item means that no one else will have the exact same piece as you, as can often happen with IKEA etc, (just think about ‘The One With The Apothecary Table’ from Friends!) Here are some things I keep in mind when trying to inject some new (but old) pieces into my space. Remember how much room you have. It can be easy to collect an armful of knick knacks, (and believe me I’ve been there and done that), but you want your space to seem well edited, not overly cluttered. Think about the surfaces you have that could house your bric-a-brac comfortably so as to not overfill it. Clutter just becomes mess. Know your collectibles. No I don’t mean taking an antiques course, I mean remember the things you love and like collecting, and keep your friends in the loop so they can scout for you too. I’m obsessed with dala horses from Sweden, and always make sure I leave room for more! My best friend recently found a dala horse piece and mailed it to me after finding it in the thrift shop too, and we always look out for each other’s collectibles. Stay away from the cheap. Again, this isn’t to be taken the wrong way. By ‘cheap’ I don’t mean affordable, I mean items that might make your room less luxe looking. 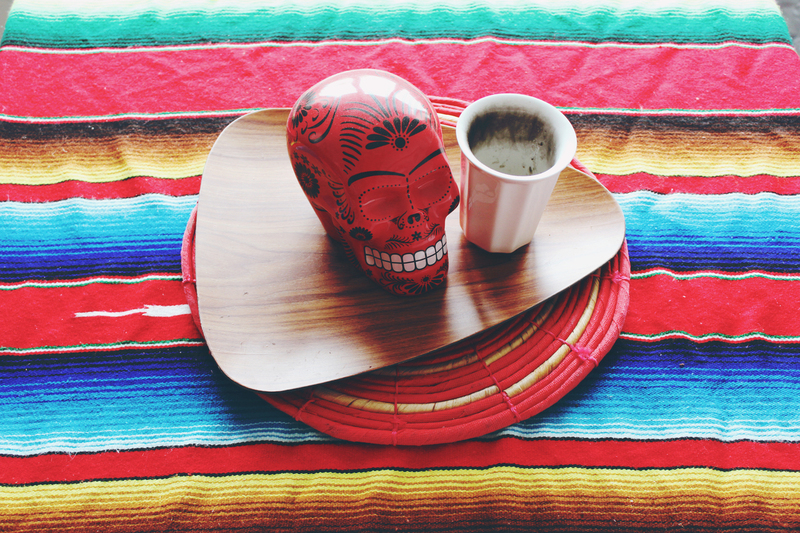 I’m a big fan of kitschy, tacky pieces, but within reason. 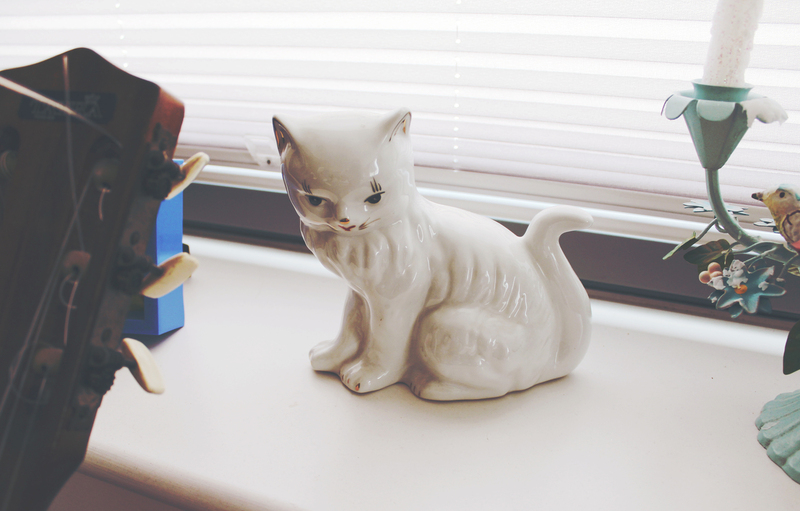 Quirky porcelain pieces for your shelf, yes, cringey novelty mugs, maybe not so much. Is it worth it? Can you repair and/or clean the piece without it becoming ruined/too expensive? 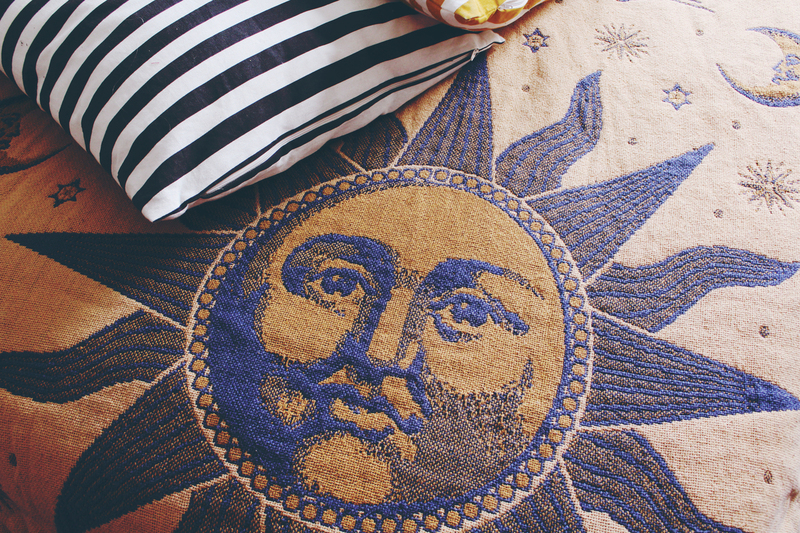 I recently thrifted two amazing fabric items, (the sun throw and Mexican cloth pictured here), and immediately washed them when I got home. If they had been made with more delicate materials, then maybe I would have had to have them dry cleaned, leading to unforeseen costs that can really add up.